So you want to learn Japanese as a second language? Great. Whether to increase your job employability, for passion, to be culturally conscious, to make new online friends or simply because you want to sing along to all your favourite Jpop songs, there are plenty of reasons why learning the language may be vital to you. Researchers agree that the best time to learn a language is between the first 6 months and 12 years of your life but assuming you are past that age bracket, in this article you shall get a variety of reasons as to why watching videos of Japanese children learn the language instead can greatly help you in your journey. Granted, children are generally fast learners and curious beings and they are all born with the ability to learn language. Despite the language their parents speak, all children learn the language in the same way. Many people think that Japanese children have extraordinary abilities that allow them to learn their language quickly and while this may not be entirely accurate, thanks to the magic that is YouTube, there are plenty of videos to let you take a peek into a Japanese child’s life. Now, we cannot over emphasize on the safety precautions that parents breach by posting videos of their children online what with the human trafficking scandals, but we are sure that they may be happy to know that their Japanese children are helping you acquire fluency and eloquence in the language. How is watching Japanese parents play with their children beneficial to you on your quest to understand how to learn Japanese like a child? Remember, in these videos Japanese parents are explaining the world to their children in Japanese meaning that as the children learn so do you merely just by watching them. Besides that parents are also good teachers of language to their children since they playfully tease and correct them as they learn the language and make mistakes. This makes the language easy and enjoyable to learn since you are being taught at a level you can grasp. I believe this new interesting technique can switch things up for you while you learn Japanese regardless of age or level of study simply by breaking the usual classroom monotony. For example, how many of you actually know all the phrases and vocabulary that you hear in these videos? For example did you know what the scrape-scrape sound actually means? Or take for example the word somersault, did you know how to say it in Japanese? Yet as you watch parents engage their children in the learning of Japanese, you actually learn vocabulary that you would not otherwise hear in a classroom setting. I discovered some few techniques that their parents use to teach that may be beneficial to you. We have to first understand the stages that children undergo so as to develop their language skills. First they learn sounds. After their birth, children are able to hear all phonemes (sounds) in any language. They usually have phonemic awareness whereby they are able to recognize and produce the sounds of the language that they are learning. In the YouTube videos you find that most parents imitate certain sounds and their children reproduce the same sounds showing they are grasping little bits of Japanese. Next, the Japanese children are now able to learn how these sounds in Japanese are grouped so as to make meaning. That is, they learn morphemes, which means that sounds bring about meaning but may not exactly be a word. For example they may learn that m-ah-m-a is the person who feeds and cuddles them, that is their mother. Therefore whenever they hear these sounds, they are able to attach the meaning of a nurturing figure to them. It is important as you learn Japanese to be able to make sense of the sounds that you hear because everything we say is a stream of sounds. Therefore you need to know where one word ends and the other begins in short, the word boundaries. Basically after learning the sounds and attaching meaning to these sounds, they are able to learn how to create sentences. They are now able to put words in the correct order and also learn the difference between grammatical correctness and the semantics of a word. These children with time are now able to know that although a sentence may be grammatically correct, it may not make sense merely because they have the natural intuition of grammaticality in them. Just like that Japanese child on YouTube, you too need to know these are these stages you shall go through if you are to be proficient in the language. 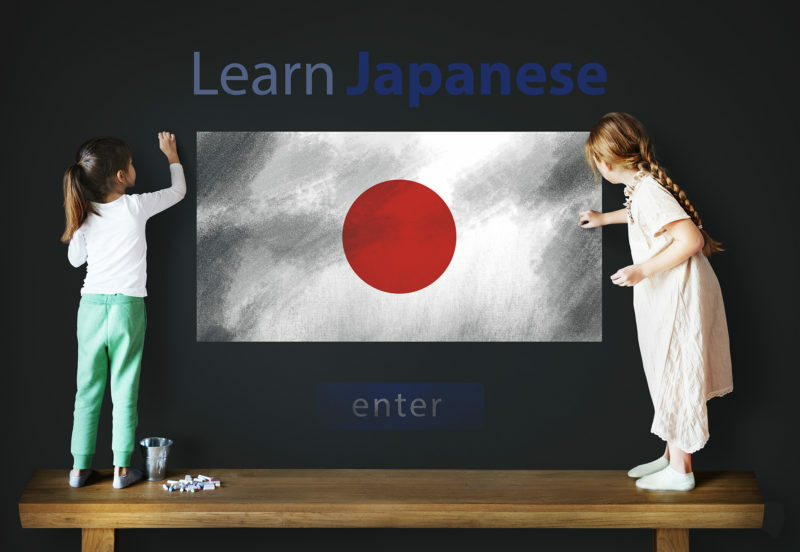 The techniques that Japanese parents use in teaching their children Japanese include teaching them through repetition, using big gestures and demonstrations, teaching through engaging activities and doing their own play-on-play activity. These techniques are handsy which help the learner able to learn the language easily. Although you may not exactly use them in your learning of Japanese, you need to find your own activities that you can do which will increase your chances of understanding Japanese. For example you could watch a movie without English Subtitles or find a word game that you could play with someone who understands Japanese more than you so as to correct you should you make a mistake. There are literally thousands of heart-warming videos of Japanese toddlers and children learning Japanese available on YouTube for your use. Trust me, using them as a resource for your learning shall prove quite helpful but take note that some of these videos may be eventually pulled down from the internet by their parents so take advantage now. As you watch these videos, keep in mind that children are very noisy so do not watch too many of these videos in a row. Also avoid videos where the parents are not talking to their children but merely just videotaping them making fools of themselves. They are cute but will surely waste your time. Lastly, if you cannot stand children, this method may not be for you so find one that works. Finally ensure that you enjoy your journey to Japanese language proficiency. Exploring how to learn Japanese hiragana fast? Find out the easiest way to learn Japanese hiragana!